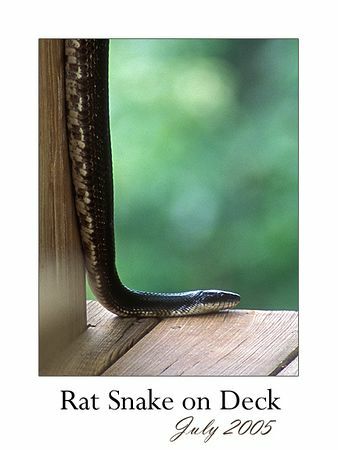 I have not seen this rat snake (or any other snake) since July 4th weekend. It ventured into cabin land primarily to feast on the baby birds located on my deck. There is plenty of food for the snakes and other wildlife elsewhere in their habitat.